New Item and Effect Added: Immunizer - Grants immunization buff, protects against poison, hunger, weakness, nausea and paralysis. New Item and Effect Added: Cleansing Crystal - Grants Cleansed buff, protects against wither, bad luck, fear, insomnia. Added a pathing cool down to Ranged AI Attack for major performance gain. Fixed a bug where subspecies health still wasn't being applied. Removed Altar stat boosts as they are redundant. Summoned elemental minions will now only fuse with other elementals that have the same owner. Elemental minions will longer transform from environmental effects. Djinn will now transform into a Zephyr after taking some fire damage and when struck by lightning. Cinders will no longer transform into Volcans when suffocating. Fixed a bug where pets were no longer loading their owner UUIDs making them wild again! Improved some entity pathing and lava detection for large entities. ============================================================ Lycanites Mobs Update: Empyreal Masters - Version 1.18.1.1 for Minecraft 1.12.2 Configs older than 1.17.3.2 will be reset. ============================================================ -------------------- New Features: -------------------- New Reiver Model Added New Item and Effect Added: Immunizer - Grants immunization buff, protects against poison, hunger, weakness, nausea and paralysis. 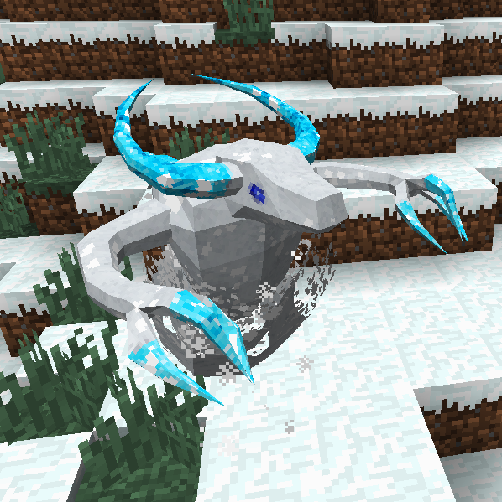 New Item and Effect Added: Cleansing Crystal - Grants Cleansed buff, protects against wither, bad luck, fear, insomnia. Updated Chinese Translations. -------------------- Major Fixes: -------------------- Added a pathing cool down to Ranged AI Attack for major performance gain. Fixed a bug where subspecies health still wasn't being applied. -------------------- Config Changes: -------------------- Removed Altar stat boosts as they are redundant. -------------------- Changes: -------------------- Summoned elemental minions will now only fuse with other elementals that have the same owner. Elemental minions will longer transform from environmental effects. Djinn will now transform into a Zephyr after taking some fire damage and when struck by lightning. -------------------- Balancing: -------------------- Cinders will no longer transform into Volcans when suffocating. -------------------- Minor Fixes: -------------------- Fixed a bug where pets were no longer loading their owner UUIDs making them wild again! Fixed Djinn attack aiming. Improved some entity pathing and lava detection for large entities.